hey say milk is for kids, come to think about it; it’s for all of us. Milk is a universal food that is essential for anyone and everyone. It is for the just born child to the fragile old grandparent. Fluid rich in proteins and fats is fundamentally vital for us because it is full of nutrients and helps our bodies in many ways. Milk is considered to be complete in itself because it contains almost all the essential nutrients that are required by the body. But having said that, one must also remember that most of us are unaware of the nutritional value of milk. Here are ten advantages of drinking milk that everyone must know. Milk is always good for your bones, and there is a reason for that. Newborn babies are required to drink milk because it is essential for developing their bones. Milk is a rich source of calcium that helps in building bones. Calcium makes our bones strong and healthy and hence is necessary for good bone health. A deficiency of calcium in the body can lead to various diseases like rickets, osteoporosis, osteopaths, and deadly others. Milk is an excellent source of calcium which must be included in the diet to maintain good bone health. A glass of milk will provide Vitamin A and D, calcium and Potassium to the body. It also contains essential nutrients like fats. Milk is an excellent source of protein as well. It contains amino acids that are highly beneficial for your body. Milk contains Casein which is an essential amino acid that regulates the growth and development of the body. Drinking milk can help maintain your muscles which can, in turn, helps to keep your muscles strong even in your old age. Milk is a rich source of calcium and calcium is vital for healthy teeth; that’s why young children are encouraged to drink lots of milk. It helps in maintaining healthy teeth and keeping them active and protected. The enamel of the teeth is essential to keep them healthy. The best source of calcium is milk, and it must be drunk regularly. Milk is excellent for your skin as well. It will be incorrect to say that it lightens your complexion, but it surely improves the quality of your skin. Milk contains essential minerals and nutrients that are required to keep your skin healthy and glowing. Consuming milk every day can make your skin bright and healthy. There are a lot of studies that have proved that drinking milk can boost your energy. If you are tired after a long gym session or a workout session then drinking milk right after that can energize your body making you feel fresh and energetic. Milk contains lactose which is a form of carbohydrate that can provide you with the required amount of energy. So drinking a glass full of milk can boost your power to a great extent. Milk has been considered beneficial for a good sleep. A glass of milk before going to bed can help one sleep better. Reduces inflammation and relaxes your muscles which helps you sleep better in the night. Turmeric powder can also be added with milk, in this case, to make it even more effective; to give you strength and immunity. Drinking a glass of milk regularly before going to bed can help you fall asleep better, and if one has any sleeping problem, then that issue can be resolved as well. Some studies have shown that milk can aid in weight loss. Milk boosts your metabolism which can help you in losing your weight. It contains a substance called linolenic acid that helps burn fat. Milk also provides protein which can make you feel full, so if you drink a glass of milk, you will feel full for an extended period time. Hence you will keep away from eating anything else that will in turn help in your weight loss. 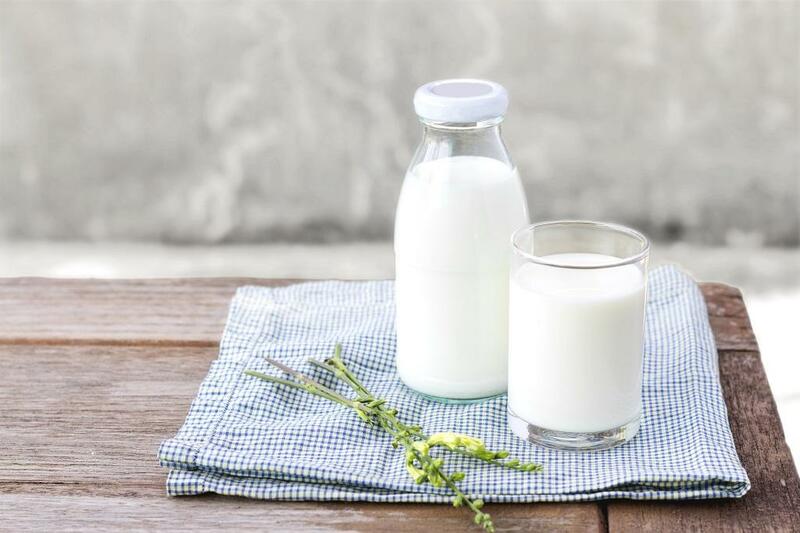 There are varieties of milk available in the market like low-fat milk, or skimmed milk that aids in weight loss since the fat content in this milk is negligible. Constipation is a widespread and serious problem among us. It is harrowing and needs special attention. It cannot be left untreated because it can give rise to other issues. Milk has been seen to provide relief in such conditions. A glass of warm milk can help in this condition. Drinking a glass of warm milk before going to bed can help in relieving constipation. A person should have a teaspoonful of ghee (clarified butter) along with warm milk during illness. It acts as a laxative and consuming milk can help eradicate constipation. Acidity is a severe health condition and can be extremely uncomfortable to deal with. It causes great discomfort and a burning sensation which can cause problems. Medicines can be taken to treat this condition, but then again drugs have side effects. Drinking cold milk, in this case, can help one a lot since it absorbs the acid and curbs the formation of acid which in turn reduces the heartburn and the acidity. A glass of cold milk which should be sugar-free must be taken in such a scenario for fast relief from acidity. Consuming milk can help one get rid of such acidity problems. Babies usually drink a lot of milk because it provides so many nutrients that are essential for the growth and development of the body. Similarly, lactose fluid is essential for all of us. A glass of milk can give your body all the required nutrients that will help your body to fight against diseases and also provide strength to your body. It contains nutrients like carbohydrates, protein, calcium, vitamins, minerals, fat and enzymes. All these are extremely important for the organism. So a glass of milk is sufficient to maintain your health because it contains almost all the beneficiary nutrients. So not just babies, adults can and should have milk because it is highly beneficial for the body. Milk is hence an essential part of your daily diet, and you should not leave it out. It can help you maintain your body, it’s functions and keep you healthy. It helps in keeping your skin, hair, and nails in good condition. A glass of milk can work wonders on your body and keep you fit. A complete food in itself, milk is favorable for all your bodily functions. These ten advantages are crucial for keeping one fit, active and health.